Overview: An outline of the module’s scope and objectives, and notes on terminology. The European Context: This session explains the legal and regulatory framework for clinical trials in Europe. 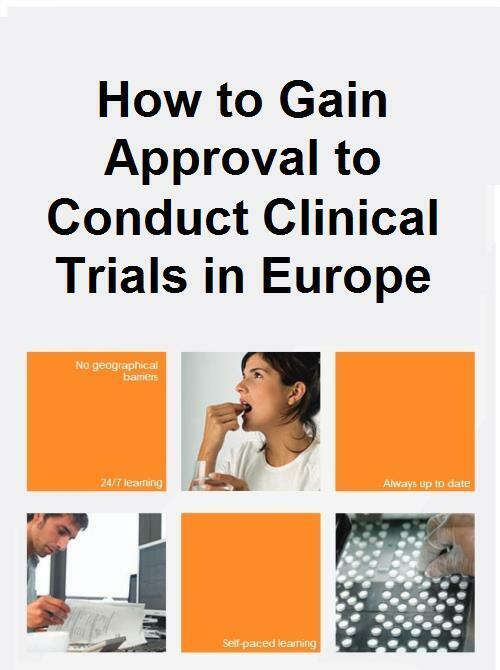 Applying for Approval: This session outlines the application procedures for clinical trial authorisation (CTA) and for ethics committee (EC) favourable opinion. It provides a decision tree through which you can determine whether your prospective investigation is a clinical trial. It describes how to register a trial with the EudraCT database and obtain a EudraCT number. It summarises the contents of applications and the processes and outcomes of reviews. Application for Clinical Trial Authorisation: The contents of a CTA application are discussed in more detail, focusing on the investigator’s brochure, investigational medicinal product (IMP) dossier, circumstances in which a simplified IMPD or Summary of Product Characteristics may be substituted, and other IMP-related data. Online compilation of the application form is explained. Application for Ethics Committee Favourable Opinion: Significant features of an application for EC favourable opinion are discussed in more detail, including the clinical protocol, informed consent form, and subject recruitment materials. Maintaining Authorisation: This session deals with the regulatory compliance activities that have to be carried out once a clinical trial has been approved. It examines the procedure for submitting substantial amendments, safety reporting requirements, and declaration of the end of a trial. The Clinical Trials Regulation: This short session looks forward to the introduction of the Clinical Trials Regulation, which will replace the Clinical Trials Directive and establish greater uniformity in procedures for approval of clinical trials throughout the EEA.